Dr. Isaac Perez, M.D. believes in providing the latest and best medical care for the treatment of skin diseases and for the restoration of skin youth. He is currently certified by the National Board of Medical Examiners, American Board of Internal Medicine, and the American Board of Dermatology. He was born in Brooklyn, NY and lived there for seven years. His family moved to Puerto Rico where he grew up. He graduated from high school valedictorian with a 4.0 average. He went to the University of Puerto Rico at Arecibo where he completed his pre-med studies with honors. In 1986 he was accepted to medical school at the University of Puerto Rico Medical Science Campus which is accredited by the Liaison Committee on Medical Education. He graduated in 1990 with honors making the Dean’s list and was elected to the renowned honor medical society Alpha Omega Alpha. He completed his internship at the University Hospital and was elected intern of the year. In 1993 he completed the Internal Medicine residency and passed his board certification. In 1993 he started the dermatology residency which he completed in 1996. He completed a fellowship in Derma-surgery and cosmetic skin surgery in 1997 at the Gulf South Medical and Surgical Institute. He moved to North Texas in 1997 and in 1999 started working in Flower Mound with Dermatology Associates. In 2003 he acquired the medical practice which changed the name to Flower Mound Dermatology. Today… I commit my life and energies to practice the profession of Medicine. I will use the science of medicine, my acquired skills, and innate aptitudes to diagnose and treat all persons who want or need my care. Caring for patients will be my primary mission and one that never will be influenced by promise or acquisition of personal reward. I will continue professional learning each day. I will monitor myself and my colleagues to assure the strength of our integrity and ethics. I will avoid giving excessive, futile, or insufficient care for any person. I will work with others to promote health within broad populations. I will strive to maintain physical and emotional health in myself and my family. Ray C. Vaughn, PA-C, MPAS graduated from the Air Force Physician Assistant Program in 2000. He completed his Masters’ Degree in Physician Assistant Studies from the University of Nebraska College of Medicine. He has also demonstrated proficiency by successfully completing certification by the National Commission of Physician Assistant and is licensed by the Texas State Medical Board. 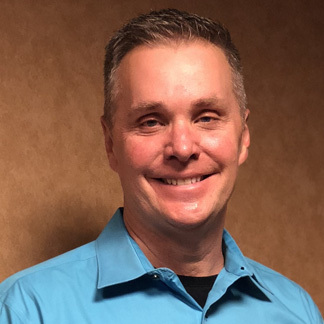 While serving the last four years of his distinguished 20 year Air Force career, he worked in a fast paced family practice and internal medicine environment. Both through experience and self-study, Mr. Vaughn accumulated broad based experience in dermatology. He has been independently performing minor surgical procedures for the past seven years. Those procedures include biopsies as well as excision of malignant and non-malignant lesions. He also performs electrosurgical procedures, nail removal, and cryotherapy. 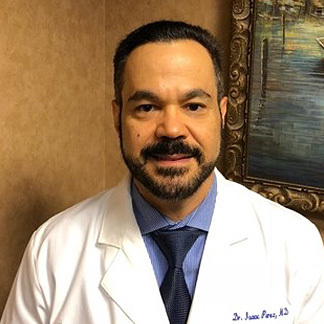 He has acquired extensive experience in the management of dermatology conditions including acne, eczema, infectious disease, psoriasis, fungal infections, and urticaria. 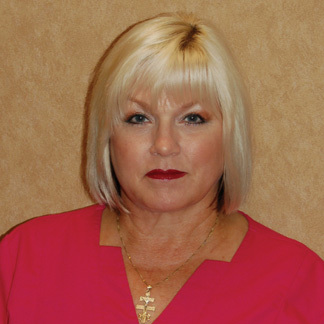 Sylvia Bennett, CMA is a Registered Medical Aesthetics Specialist and joined Flower Mound Dermatology in 2008. She is originally from Oklahoma and attended Oklahoma University in Norman Oklahoma. With laser treatments she is committed to providing you with an exceptional experience. Sylvia’s personalized and customized attention is backed by knowledge, skill, professionalism, and highlighted by genuine compassion. She offers free consultations and personalized treatments including IPL treatments, laser hair removal, microdermabrasion, checmical peels, cool touch laser, Thermage Procedure, Fraxel laser, Liposonix and Permanent Makeup. At Flower Mound Dermatology, Sylvia would like to offer her patients the highest quality of service and results with her skills. She looks forward to giving her clients a more personalized experience and result driven regimen.